Browse our special offers of GM, ISUZU, Caterpillar , Allison, AC Delco parts and accessories below. Act fast and contact us today to order our parts. 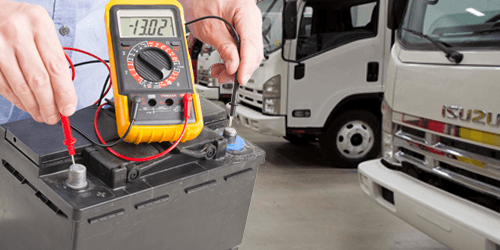 When you purchase a new Fuel Filter and Oil Change for your Isuzu Trucks you also get a No-Charge Battery Service & Charging System Test. Book your service appointment today or contact us for more details! 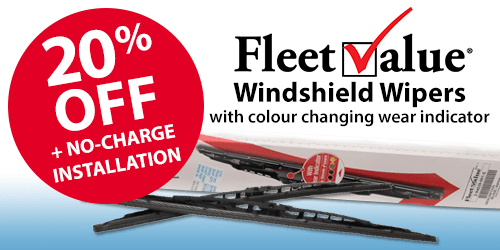 Get 20% off FleetValue Windshield Wipers + no-charge installation when you present this coupon! All FleetValue Parts are covered by a 1-year/unlimited mileage warranty. Contact us for details. Looking to upgrade your Isuzu N-Series 2007+ or replace a worn-out driver’s seat in your truck? We have your back! Vibration and uncomfortable seats can make life miserable and cause unwanted injuries. 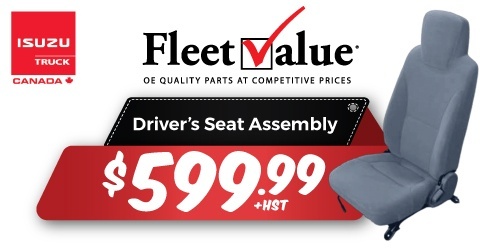 This FleetValue® seat assembly can help! Contact us for more details. 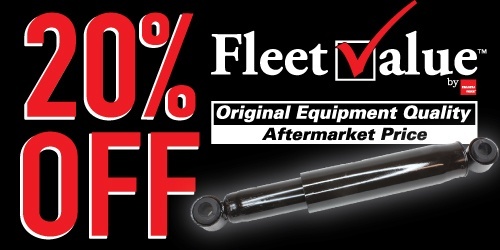 When The Road Gets Rough, FleetValue™ Shocks Can Help! 20% off Parts & Labour ON NOW! Get original equipment quality at an aftermarket price! Book your service appointment today. 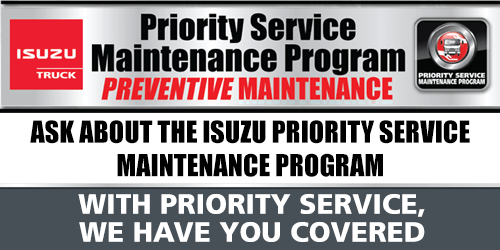 Ask us about our Priority Service & Maintenance Program that provides preventative maintenance for your fleet of Isuzu trucks to help ensure you don't have to deal with significant breakdowns and interrupted fleet operations. 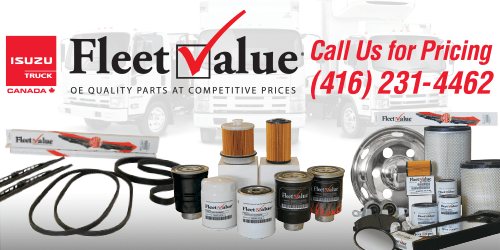 Humberview Trucks has Isuzu Trucks Canada's FleetValue Parts to replace worn and broken truck parts for your fleet of Isuzu vehicles. If you want OEM quality truck parts at competitive prices, call us for pricing about: Brake Pads, Brake Rotors, Brake Calipers, Oil Filters, Fuel Filters, Air Filters, Water Pumps, Shocks, and more! 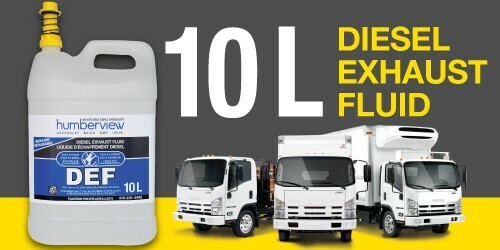 When you need more diesel exhaust fluid, just bring in your container for a refill and save! Larger bottle sizes are available. No-spill spout & cap. Contact us for more information about pricing and available inventory.